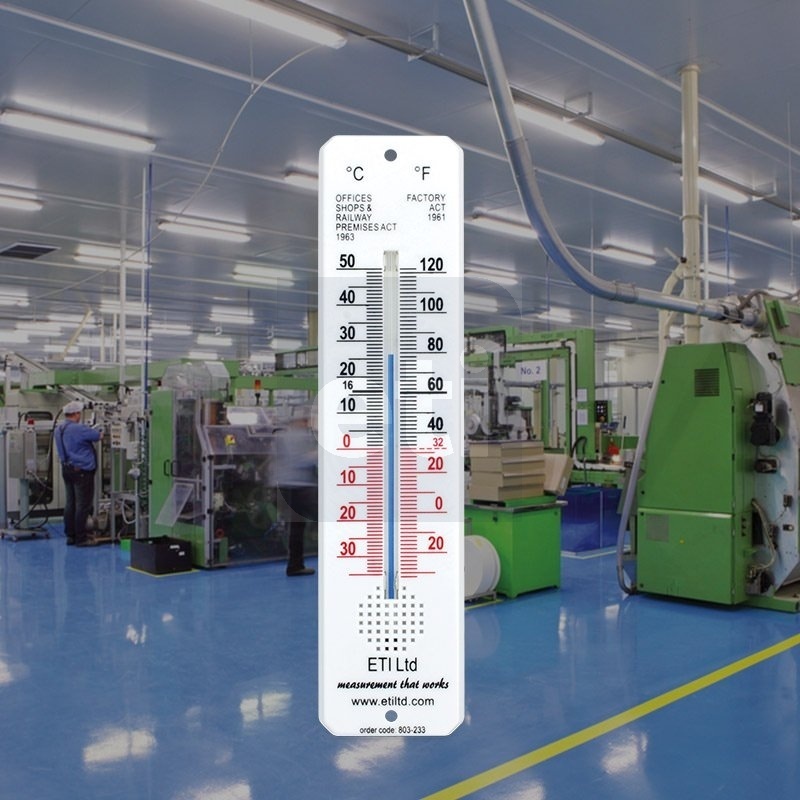 Factory Act thermometer - This wall-mounted Factory Act thermometer is ideal for use in any office or factory or business. This room thermometer will measure temperature over the range of -30 to 50°C, with an accuracy of ±1°C. The Factory Act thermometer is housed in a white plastic casing, is spirit filled with a clear, easy to read scale. The thermometer's dimensions are 45 x 195mm. It provides a simple and cost-effective way to monitor temperature in any business.